It’s a Monday, which means I get to share an interview with you on the podcast! 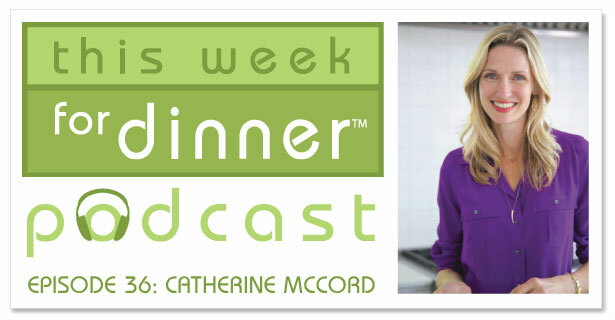 Today I have a little chat with Catherine McCord, food blogger at Weelicious, author of two cookbooks and founder of the new meal delivery service One Potato. Catherine is a dedicated mother who cooks at home pretty much every day, despite an insane working schedule for herself and her husband. In addition to her kitchen awesomeness, she’s just a really nice person that I am grateful to know. One Potato, Catherine’s new family-focused, organic meal delivery service currently serving California and parts of Nevada and Arizona…but soon to expand!